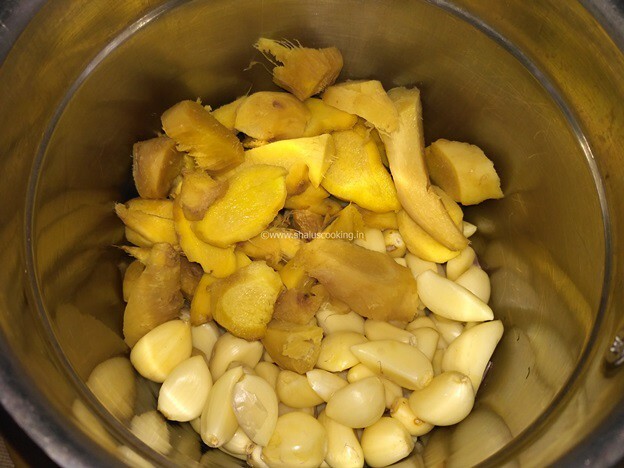 Ginger Garlic Paste, this is one of the common ingredient that we use in our day to day cooking. Mostly many people get the ready made paste from stores. But making at home fresh is always the best one. When we make it fresh it will give a good aroma and taste. If you cannot prepare it fresh every day, you can prepare and store it in refrigerator for a week. 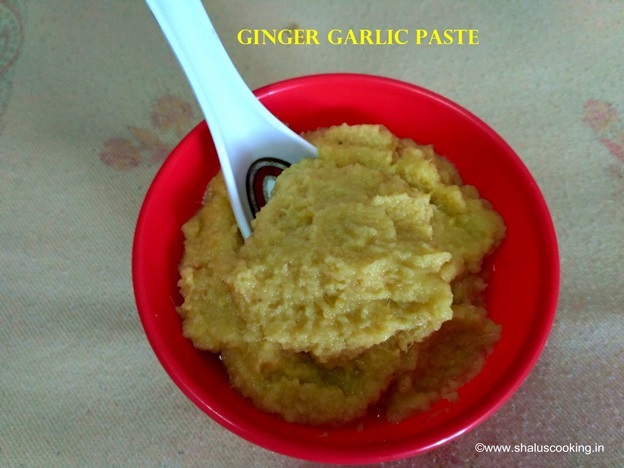 So, here I am sharing the recipe to make ginger garlic paste for storing it in refrigerator. 1. 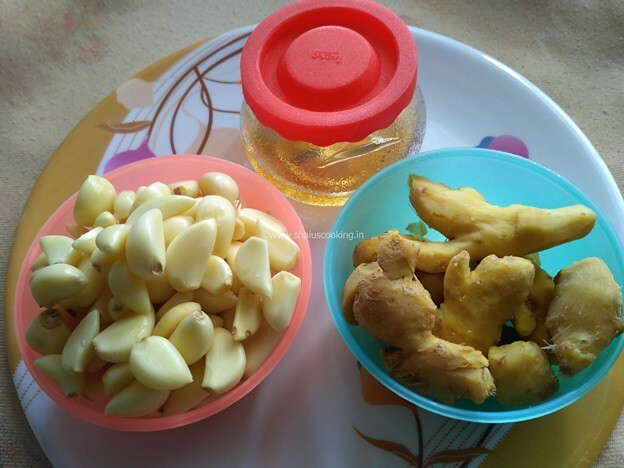 Peel and wash the ginger and garlic. 2. 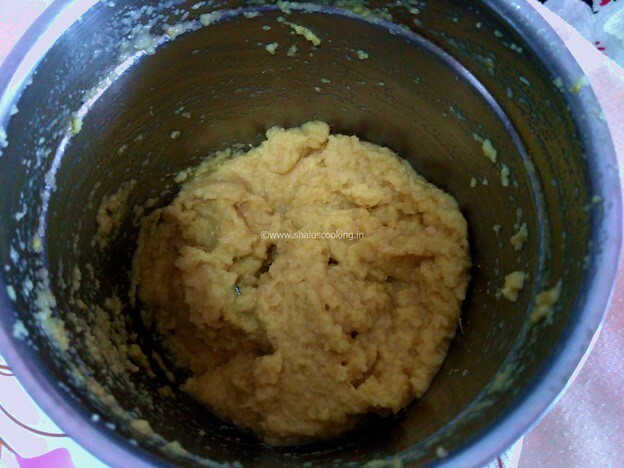 Add ginger and garlic to a blender. Note: Chop the ginger before adding to the blender. 3. 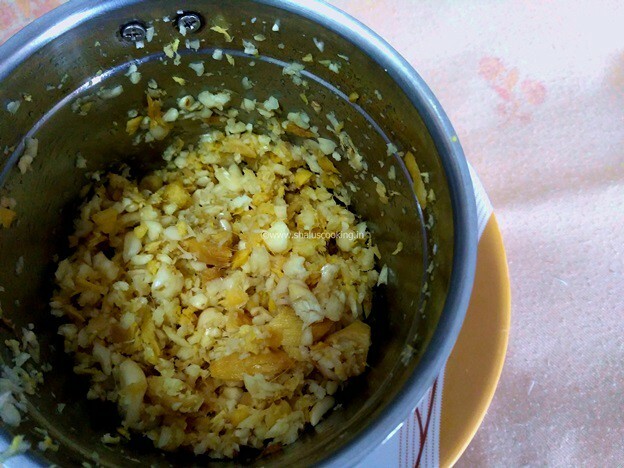 First grind ginger and garlic to a coarse paste without adding any water. 4. Now add, vinegar little by little and grind the ginger, garlic to a smooth paste. Thats it! 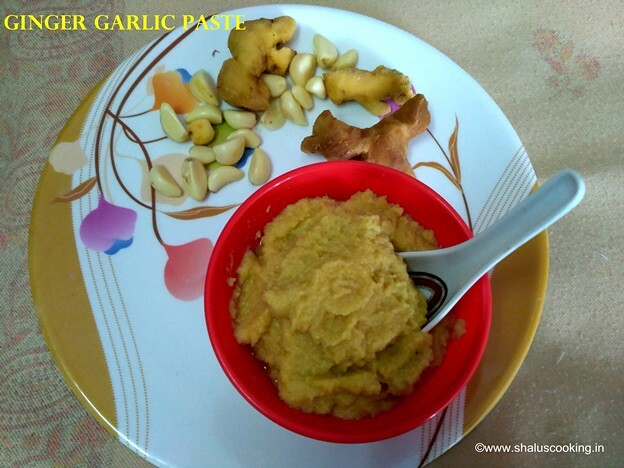 We made the ginger garlic paste at home in just few steps. Save it in an air tight container and store it refrigerator.